This gated 3BD 2.5BA townhome enjoys an open floor plan with high 12' ceilings and a gourmet kitchen with stainless steel appliances, wine refrigerator and marble countertops. 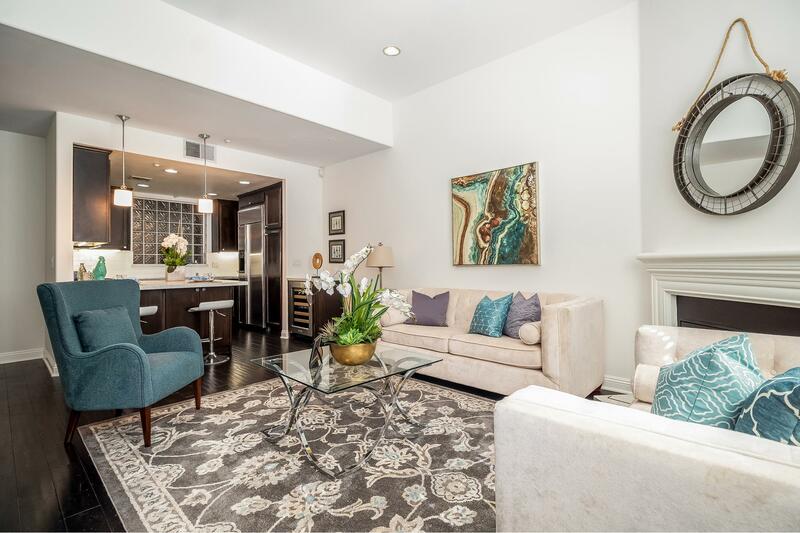 Offering the convenience of modern day living, the home features central AC, two smart Nest thermostats, recessed lighting, beautiful dark hardwood floors throughout and direct access to a private, two car (side by side) enclosed garage. Upon entry, youâ€™ll walk into an open concept living space with a half bathroom. On the second floor are two spacious bedrooms, a large travertine bathroom and a laundry area with included washer and dryer. The private master suite is on the third floor and has a large open patio, two walk-in closets and a luxurious master bathroom with a separate tub, shower and dual sink vanity. Convenient to UCLA and metro stations, and walking distance to Sawtelle Japantown and the new Google campus coming to the Westside Pavilion shopping mall in 2022. This is a wonderful opportunity to own a home in this highly desirable area of West LA, located in the coveted Westwood Charter Elementary school district. OFFERS DUE: Monday, March 25 at 12pm.